plate in case of discharge without neutral beam injection (NBI). 1019 m-3, ion temperature Ti=31-93 eV). 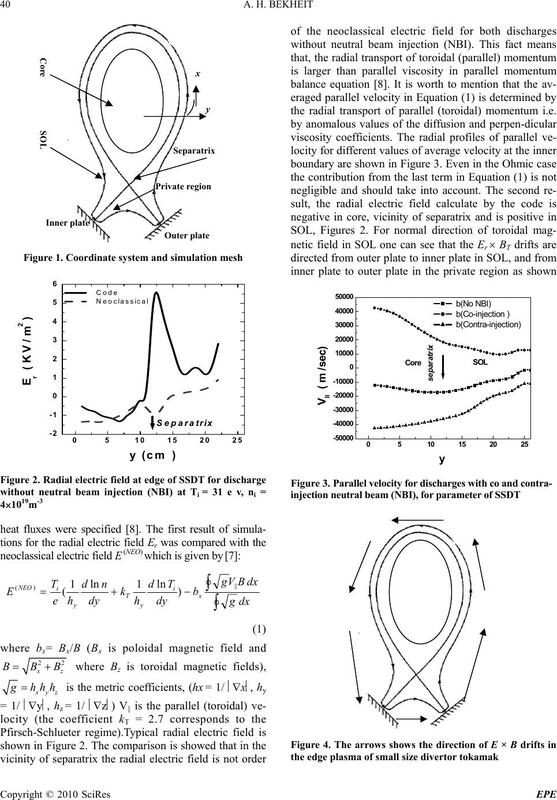 the radial transport of parallel (toroidal) momentum i.e. 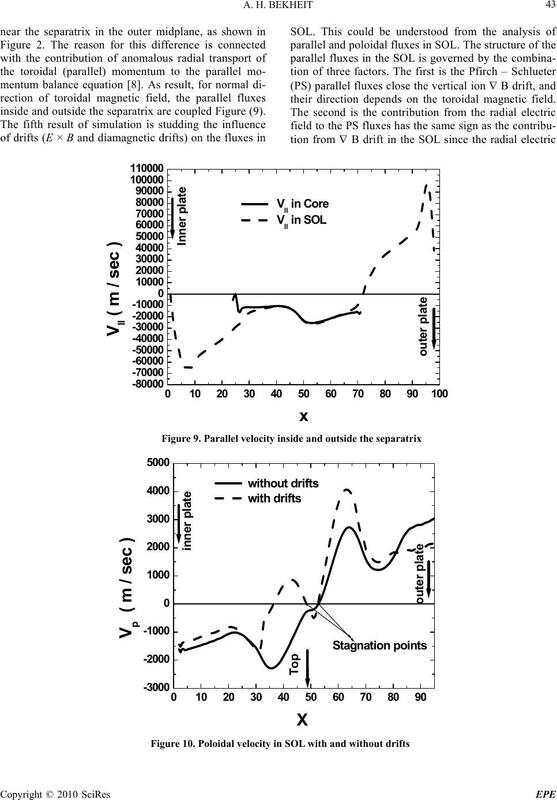 SSDT (the electric field is more negative in the core). 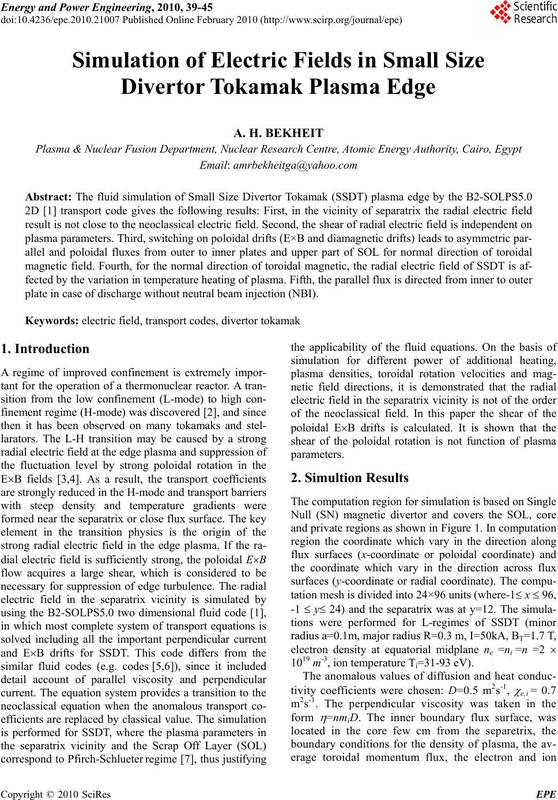 / RBx)/ hy dy, on plasma parameters has been studied. parameters was obtained, Figures (6–8). 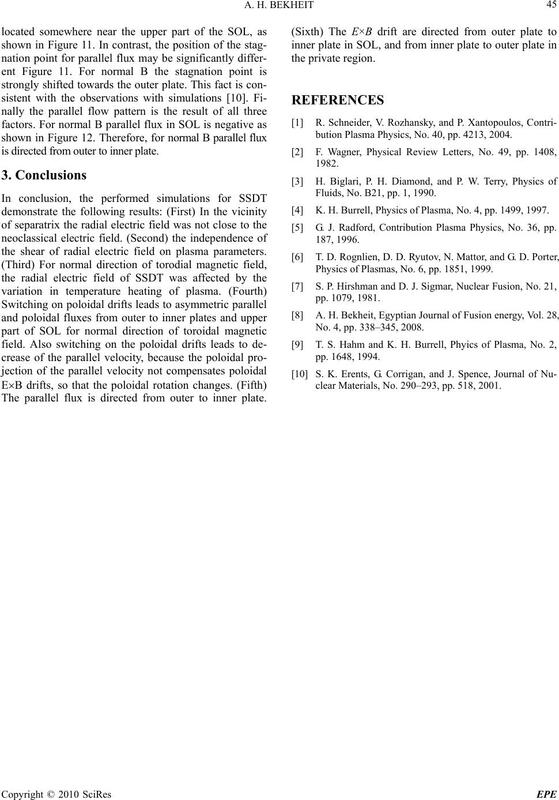 field of SSDT, is not of order of neoclassical field. inside and outside the separatrix are coupled Figure (9). their direction depends on the toroidal magnetic field. outer plate (the pressure is almost the same at the plates). is directed from outer to inner plate. 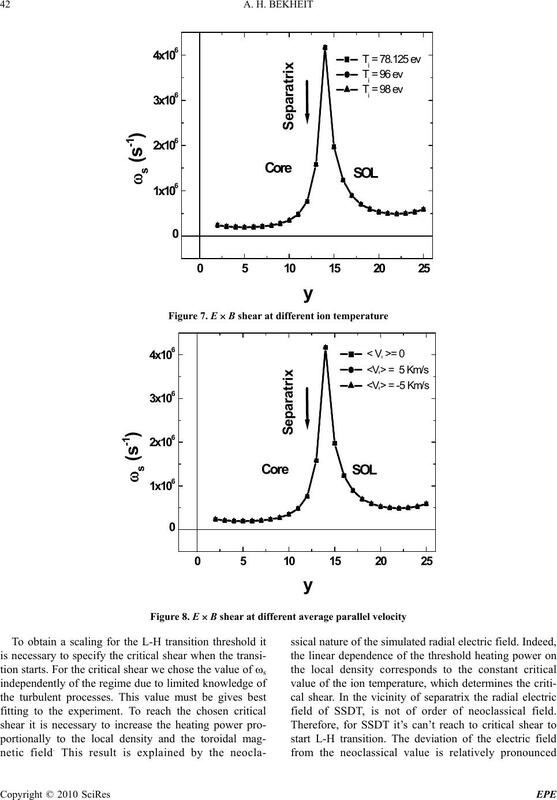 the shear of radial electric field on plasma parameters. 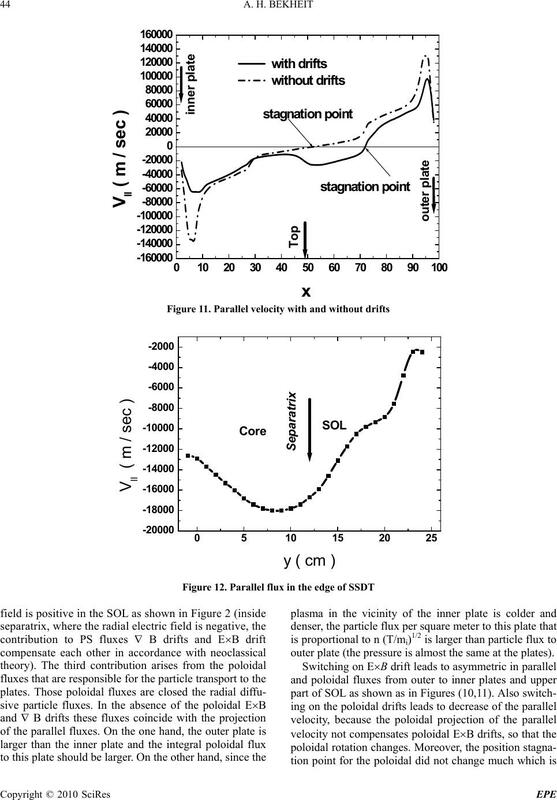 The parallel flux is directed from outer to inner plate. bution Plasma Physics, No. 40, pp. 4213, 2004. Fluids, No. B21, pp. 1, 1990. K. H. Burrell, Physics of Plasma, No. 4, pp. 1499, 1997. G. J. Radford, Contribution Plasma Physics, No. 36, pp. 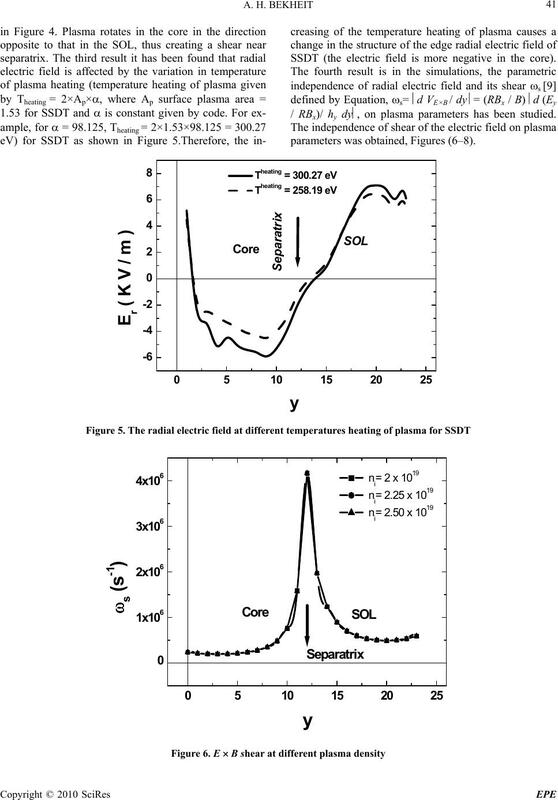 Physics of Plasmas, No. 6, pp. 1851, 1999. No. 4, pp. 338–345, 2008.
clear Materials, No. 290–293, pp. 518, 2001.